Type Locality Poça de Pedra on Rio Tapajós, Sao Luis, Est. Pará, Brazil. Size 130mm or 5.1" SL. Find near, nearer or same sized spp. 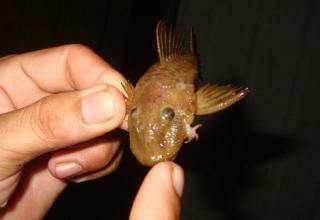 Identification Male Hopliancistrus develop very stout recurved odontodes at the corners of the snout. 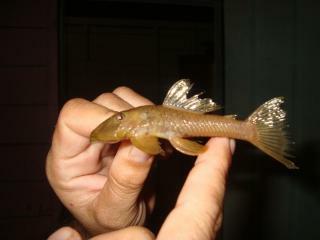 The presence of three stout, strongly recurved odontodes in the cheek mass putatively separate Hopliancistrus from all other Ancistrini; however, the actual number of hypertrophied cheek odontodes is 1-16, with 1-5 of those being stout and recurved. 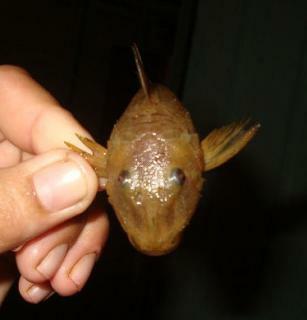 The only other ancistrin that develops hypertrophied odontodes just in the corners of the snout is Lasiancistrus, but Lasiancistrus have the odontodes very thin, like long whiskers; also, Lasiancistrus has three rows of plates on the caudal peduncle vs. five in Hopliancistrus. (Adapted from Armbruster). Distribution South America: Tapajós and Xingu River basins.